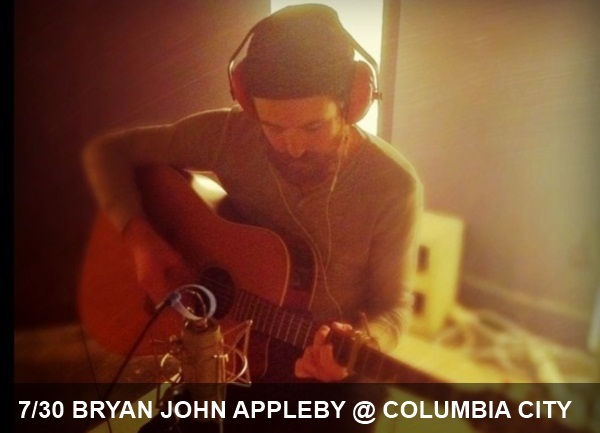 Encouraged by buddies from Seattle sensations The Head and the Heart and Campfire OK, Bryan John Appleby set out to make his first full-length album, Fire on the Vine. Thank goodness Bryan has such good friends, because the end result is a musical joy that has already become commonplace on our iPod rotation. 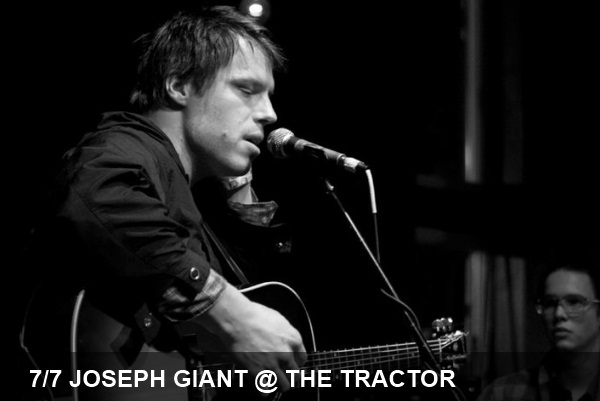 His music is indie-folk tinged Americana with unexpected composition and elegant vocal harmonies. 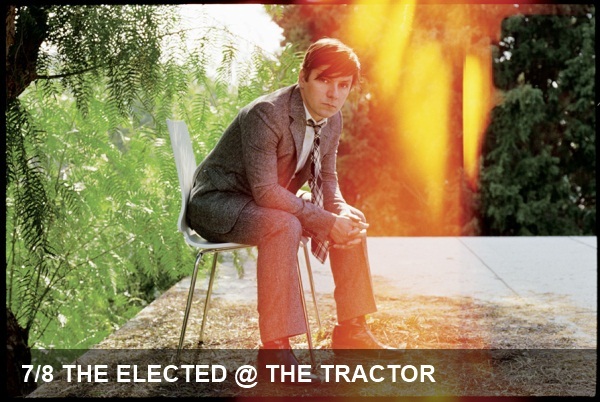 And apparently we aren’t the only ones impressed with Bryan’s work – to finish his album, he raised more moolah than necessary via a Kickstarter campaign. This PacNW newcomer is celebrating his album release tonight at the Columbia City Theater, supported by another of our local favorites, Gabriel Mintz. If you can’t make it tonight, never fear! Bryan is playing again on 8/4 at The Triple Door for a benefit show. By the way, we think Bryan’s video below, paddling through the Arboretum near 520, is just brilliant. We’ve been loving the funk and R&B revival that’s been taking place this year. From Pickwick to Black Joe Lewis and the Honeybears to Fitz and the Tantrums, there’s been a great selection of throwbacks bands with a modern twist. 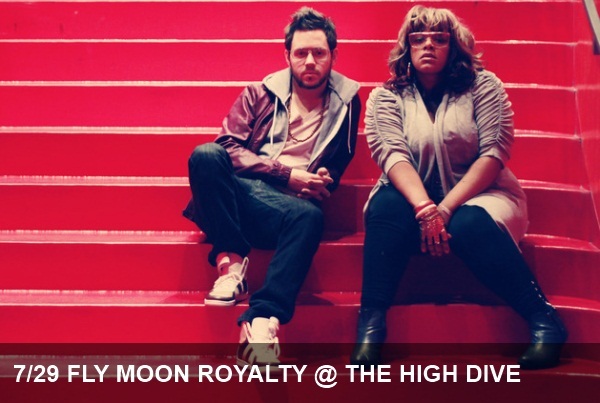 Today’s recommended show adds yet another local name to the list: Fly Moon Royalty. With springy synth, dance-inducing beats and soulful vocals, Fly Moon Royalty adds a modern flair to the R&B/soul genre. The Seattle duo perfectly blends R&B with electronica which results in a velvety, danceable mashup of sonic goodness. Get groovy with them tonight at The High Dive in Fremont. 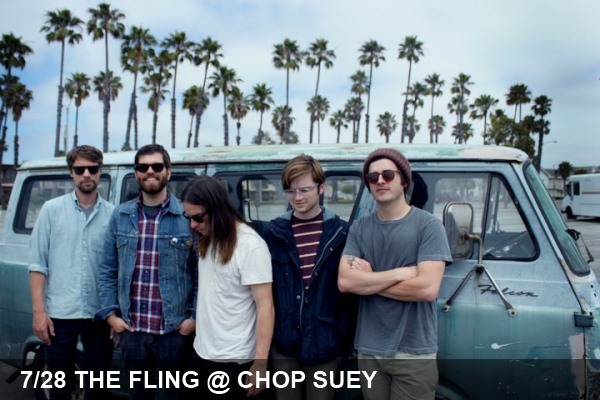 Hailing from Long Beach, The Fling play a poppier variety of the type of music that’s been the bread and butter for the Tractor Tavern since the beginning. As strains of Americana and folk rock have become wildly popular in the past few years, the band joins the ranks of Dawes, The Romany Rye, Delta Spirit, Edward Sharpe… and many other Southern California bands who have embraced an often radio-friendly amalgamation of folk, country and occasionally psychedlic influences. All bands, who along with PacNW bands lead by current torch-bearers the Fleet Foxes, have revived and added their own stamp on the sound forged by the Laurel Canyon greats. Head over to Capitol Hill’s Chop Suey to see take in the experience for yourself and be sure to get there early for Deep Sea Diver. Though our calendar insists it’s summer, the weather as of late definitely has us wondering. While we might not have the extended sunshine that usually accompanies the shortest season, the barrage of outdoor concerts is yet another confirmation we’re halfway through July. As we’ve said before, the city we call home is exceptionally rich with great live music options. During the summer, this trite statement hardly begins to scratch the surface. In addition to the usual tough choices we’re faced with at our favorite venues, festivities and summer-only venues tip the situation to one of an embarrassment of riches. While we’ll talk more about some of our favorite events like KEXP’s concerts at the mural, outdoor festivals and Bumbershoot, we now turn our attention to the jam-packed three-day gathering of the city (and suburbs’) young and young at heart known as Capitol Hill Block Party. Even more so than most music festivals, knowing the key acts you want to see going in and planning to make it to those stages in time is key at CHBP. Given the cramped spaces and finite standing room in venues such as Neumos and Cha Cha, you’ll likely be faced with some tough decisions as stage hopping isn’t as smooth as it is in the larger festivals like Sasquatch and Bumbershoot. To make your planning process a bit easier, we’ve highlighted some key can’t miss acts along with our schedule below. As always, be prepared for big crowds, put on sunscreen, stay hydrated and spend the next few (hopefully) sun-filled days soaking it all in. Head over to the official CHBP site for the complete schedule. 2011 has been quite the year for Pearl Jam fans. In addition to marking the 20th anniversary of the band’s debut Ten with a much-buzzed about festival just outside frontman Eddie Vedder’s pre-West Coast hometown of Chicago, fans will be treated to a much-buzzed about documentary directed by Cameron Crowe that will air on PBS this October. To top it off, Vedder himself released a second solo album that saw him touring the country playing with Glen Hansard and acclaimed local talent from a variety of cities. Local fans have long had this date circled on calendars for months but for the rest of you, tonight is Vedder’s first hometown show at Benaroya. 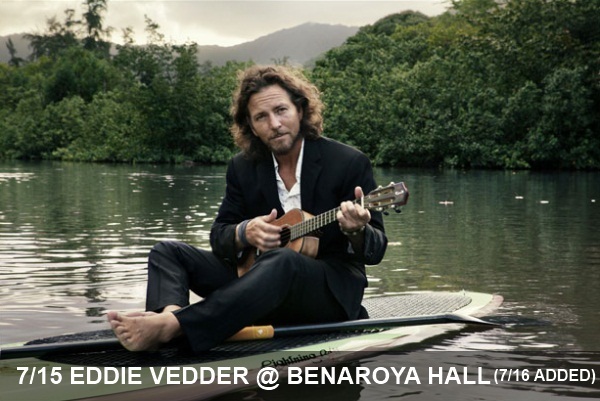 Vedder will also return tomorrow night to entertain a capacity crowd with a wide-selection of covers and other songs of his latest, ukulele-only record. As a music blog with a specific geography in our name, it should come as no surprise that we’re pretty conscious of the question of where when it comes to our favorite bands. If you too have been keeping track of who we write about, you’ll see the same locales come up over and over. One such band that broke from our standard audio fare of Seattle, Portland, Austin, Brooklyn and other mainstays is the Other Lives. The group that’s opening for The Rosebuds at the Tractor hail from Oklahoma, a state which isn’t well represented on the iPods, Pandora stations or any of the blogs that we frequent on a daily basis. Question of geographic place behind us, Other Lives’ incorporation of rich vocal harmonies and ethereal, sypmhonic instrumentation make for an excellent addition to your audio collection that would be right at home next to Denton’s Midlake, Brooklyn’s Grizzly Bear and Seattle’s own Fleet Foxes. While Blake Sennett first won us over as the guitarist and back-up (and sometimes) alternate vocalist for Rilo Kiley with the band’s Barsuk debut Take Offs and Landing, it was ultimately his solo project on Sub Pop that made him fully appreciate his abilities as a deeply introspective lyricist and all-around skilled musician. After a five year hiatus between his band’s sophomore and third album, Sennett’s The Elected is back with a excellent new release that picks up where Sun, Sun, Sun left off by adding a few more danceable (or at least highly swayable) elements to the mix. 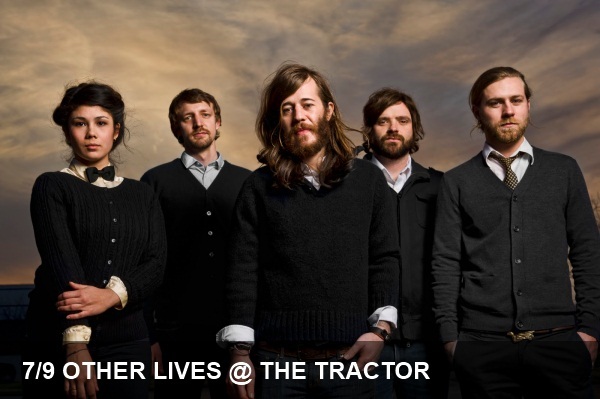 Head to the Tractor tonight to take in the live experience for yourself.